(March 2004) The winds of change have blown over the New England film industry and a quick snapshot shows no relation to the same region of five years ago. The landscape has been drastically altered. Gone is the talk of Hollywood East. Film Commissions and related offices have dissolved, merged or been made redundant. And no where is this more apparent than in Rhode Island. Yes, Rhode Island, the regional poster child for those afflicted with ADD in ethics. The smallest state once boasted two film offices and related positions in the various tourism boards. Quietly, the two main film divisions have disappeared. 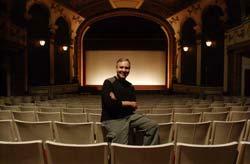 The Providence Film Commission was the first to go. Hamstrung by its political ties to the administration of convicted felon, former Mayor Vincent A. Cianci, the commission was on life support during Cianci’s trial, then was dissolved under the regime of Acting Mayor and City Council President, John Lombardi. For those in the know, the Commission was a vanity piece for the former mayor and his cronies. The original director was himself a convicted felon and served time for perjury during a federal investigation. His successor had minimal experience, most coming from being a production assistant during a limited stint in Los Angeles. But he had the right political connections. It was like watching a remake of “Get Shorty,” as these dilettantes puffed their way through an era that accomplished little but boasted mightily. Truth was a fiction they served cold. But it was colorful. Perhaps someone will make a film about this less than glowing moment in the city’s history. I’m sure these players would like that. On July 17, 2002, that all stopped. Cianci’s conviction was upheld and like a snake losing its head, the lifeline shriveled and dissolved. No more failed Screenwriting Conferences, no more failed Renaissance City Film Festivals, no more questionable fundraisers, no more preferential treatment to toadies, parasites and hangers-on. It’s no secret that Cianci’s highly touted tax credit incentive for spurring growth in the Rhode Island film industry was a total bust. To date, the credit has not been used. And it’s also no secret that turning Providence’s Cranston Street Armory into a production facility has also been a dead end. Oh, there have been plenty of ideas, but no delivery. 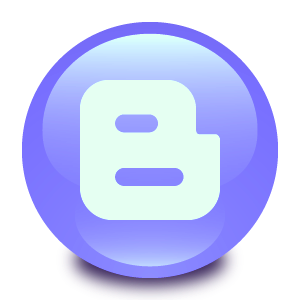 Last July 2003, the next change took place. Very quietly, the RI Film & Television Office was removed from its berth at the Rhode Island Department of Economic Development to the Rhode Island State Council on the Arts. This was a radical step and came through legislative mandate. From business development to arts promotion is a significant change, particularly for an office not known for it support of smaller, independent films and their creators. In January of this year, the unthinkable happened, the 14 year term of the film office director came to an end. So what lies ahead for Rhode Island? Where does a film company go for logistical support if they wanted to shoot here? Or, why should a film company want to shoot here at all? What marketing arm will drive them here? Under Mayor David M. Cicilline, the city of Providence has taken some bold steps in establishing a cabinet level position that now addresses the arts, tourism and culture. Film was originally in the title, but was merged with “arts.” There are plans to reinvigorate a Film Commission, and unlike the previous administration, the mayor’s hair stylist will not hold a seat. Randy Rosenbaum, the Executive Director of the Rhode Island State Council on the Arts, recently rewrote and posted for the position of the new film manager. Slated to serve as his Deputy, whoever gets the position will be charting virgin territory, At press time, about 120 people have applied for the position. That number has been whittled down to ten and will go through one more round of eliminations to five. Interviews will be starting shortly. NEED: What do you think should be the role of a Film Commission in Rhode Island? The first duty of any Film Commission is to support filmmakers. Everything else is secondary. The office should be a resource and support system for every filmmaker from the student to the big budget production. The commission should also actively support and promote the state's film festivals. Last but not least, the commission should be aggressive in getting outside production to shoot in the Rhode Island. Getting outside productions to shoot here is important to the small filmmaker. Outside production doesn’t necessarily mean feature films, although that’s nice. It also means commercial and television shows. This is what helps fund a thriving film community and it keeps highly skilled professionals employed. These technicians and artists are the support system that helps the smaller filmmaker complete their projects. A To build a strong reputation for RI in the mainstream film community in order to attract production dollars to our state. B To work with lower budget outside productions to showcase our locations and offer both education and support within our own community of artists and technicians. C To work with filmmakers and students based here in RI to support their artistic efforts and production needs in order to sow the seeds of future success stories. A central office that ties promotion, production, funding opportunities and exhibition through a database resource and website would be very helpful to bring together all the people and organizations working in this medium. In such a small state, we tend to take for granted that everyone pretty much knows one another or that word will get around about someone's project and that is not necessarily the case. I think we could have a much stronger network supported by the presence of mutual aid, not competition. For too long offices like the film commission were only about getting Hollywood films made here, not about helping the filmmakers here become part of imported projects or just part of the working world of film as a whole. 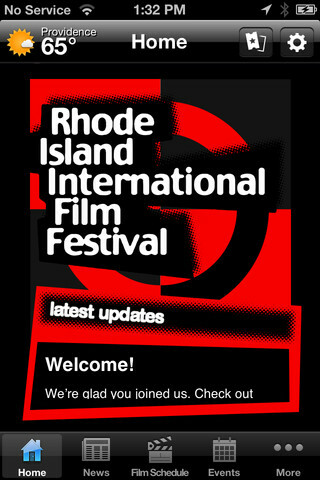 With the college film faculty and students here, plus festivals of note like the RI International Film Festival, AND the combination of convenient size, varied locations and talented personnel from writers to grips, there's no reason this area cannot be a burgeoning, year-round film community. The new film commissioner should make part of the job finding out where and to whom film talent here should go to get scripts bought or acquire hands-on film experience. There are producers and agents in New England. The film office should hook them up with writers and directors, etc. The commission should also have meetings and workshops that bring local filmmakers together as a mutually supportive and networking community of artists, taking a page out of on-line groups like Francis Ford Coppola's Zoetrope.com. NEED: Do you think it makes sense to move the RI Film Office from Economic Development to the Council for the Arts? YES! My biggest problem with it being part of economic development was specifically for the above reason stated. It became a revenue first priority instead of the other way around. Good film, good TV should be valued for the fact that it is excellent, not because it 'makes money'. Good films, good TV, well done commercials make money - and there are a good number of us making good films or TV that are making money. A Gov. agency should aspire to something higher than LCD standards, as should we. Yes, I do. I can't really believe that there is that much work to do in terms of location scouting for big budget films being shot in Rhode Island. I think if that is the case, and if the Film Office is part of the Council for the Arts, the Economic Development or Tourism people can get involved at that point. I think all Rhode Island filmmakers could benefit by having a department strictly devoted to film within the Council for the Arts. Absolutely. While some producers and studios might beg to differ, filmmaking is NOT primarily an economic endeavor. While filmmaking can bring great economic benefit to the towns and cities where the films are being shot (and the final product can be a financial success) films are first and foremost works of art, an incredible collaborative effort of different disciplines. I think an Arts Council Film Office would be more sensitive and knowledgeable of the needs of a production company, though the Economic Development Office should be an intricate partner/collaborative office in assisting productions. I'm not sure where the film commission should locate itself. insofar as the commission promotes the state as a place to shoot films and actually has clout to make the state a "friendly" place for commercial filmmaking then it needs to be located in the economic development office. but the film commission should also be involved in helping Indie projects and low budget/local projects also get off the ground. this function might best work in the council of the arts. in any event Rhode Island needs to be promoted as a smart choice for filmmakers to come and make their films. I have not seen the rationale, but I am concerned. I do fear that making the position a staff person with RISCA diminishes the visibility, independence, and hence the viability of film/TV production, which otherwise has great potential, as we have seen here and in other states. I don't think the department matters as much as the direction or the office. If the role of the office is to make RI more attractive to outside, big dollar productions than I can see why some would raise an eyebrow at the change from Economic Development. That being said, I feel that the office can make an impact as part of RISCA by leveraging the combined talents of our thriving artistic community to SET AN EXAMPLE of how RI supports all artists, not just out of town artist with big wallets. Word like that travels... if RI can't build bridges between there own talent and their own business how can we build bridges to the Hollywood community? NEED: What do you think of a regional collaborative that would spur cooperation and link the states together, providing a platform for our talent base? I think it's very important. There's not too much distance between all of us and yet the information divide is immense. There needs to be more opportunities for collaborations between artists, cultural agencies, and media organizations across state lines to keep our work vital. Resources like newenglandfilm.com are very helpful in keeping us all "in the loop," but there need to be more tangible ways to know about each others' work and to measure the "state" of filmmaking in New England in order to inspire new ideas and new partnerships. In terms of drawing productions to the region, perhaps collaborative efforts between the Film Offices offering resources or between the states offering "package deal" tax incentives might be both helpful and lucrative across New England. No -- I think that RI would get lost in the mix. We have a fantastic state and we should promote it as such. I have seen some other film commissions at the IFP and they go all out to promote their states and really reach out to filmmakers both independent as well as Hollywood big budget. I have never heard from one person at the RI Film commission and I have made five small films and spent over fifty thousand dollars of my own money and they don't even know who I am! NEED: The City of Providence recently created a cabinet level position that combined arts, tourism and culture. Originally, film was a part of the name, Now it's been lumped with arts. Do you think that the local politicians have a clear understanding of the film business or are they clueless about its real impact. Actually, I don’t think they do. Because of the large amount of money needed to produce films – even the so-called “smaller” films, filmmaking more than any other art form is a combination of art and commerce. Filmmaking is also the most collaborative of the arts. A film office needs to be a supporter to the artist, the center of the web that ties all the craftspeople technicians and artist required to have and active film community; and a salesman to get outside projects to come here and keep these people working. Also, the side benefit of tax dollars provided by outside companies shooting here doesn’t hurt either. We need to remember that. A film office is one government office that can help make money, not just spend it. It may not be a choice between having a clear understanding or being clueless; perhaps it's somewhere in between. I do feel that RI lags behind other states in our commitment to this huge market. All the other 49 other states, as well as Wash. DC & Puerto Rico, and many cities, have active film offices. If Vermont, Wisconsin, Mississippi, Wyoming (2 offices), Missouri (3 offices), Connecticut (4 offices) Arkansas, & North Dakota deem it important to support film offices, what do they know that we don't? We seem to view a film/TV office as an expense, a luxury, if you will, rather than an investment. Yet a few days of a major film production can more than make up for the small investment in a state office of film & television. I don't think politicians have a clue about the art of making film. There is film as a business and then film as an art form. I don't think most of us as independents do it for a business or even make money doing it. We do it because we need to make movies. I do think that any organization that supports that attitude of filmmaking would be a benefit. Film is an important form of expression just as painting, theater and dance all are. As long as that is respected, maybe it doesn't matter what the cabinet position is called as long at they actually do something to foster the growth of filmmaking in the state. Frankly, I am happy that politicians don't understand film. It would make them more dangerous. Buddy Cianci is the perfect example - he used his office to align himself (in the public's perception) as a darling of the movie industry. It was disgusting and misleading. But he did realize the value in the sexiness, the mystique and of course the big money stream that bigger films bring in. But that was where he stopped. It's filmmakers that perhaps need to understand the politicians more. We are the ones who need to be better advocates for ourselves. Use our competencies in persuasion to more effectively communicate with them about what our needs are, what the influences and benefits to our industry are, which are significant. We certainly need to spell out the business process better to them if we are going to get the support we need. The problem I see is that we are a bunch of extremely busy "individuals" who rarely think of ourselves within this larger framework of "industry". Also, the very industry is so varied. Clueless is a strong word - uneducated is a better one. Politicians are often near sighted by nature, after all most of them have only temp roles. Politicians do what the businesses and citizens feel is best at the time... if the office can educate and prove to the business community that film is good for RI the politicians will follow. No. They need to realize that there are reasons why this state and MA have a hard time attracting big Hollywood films to the region. There are a number of things wrong that could be changed or addressed from the unions to the lack of any real marketing materials and comprehensive guides for that outline locations, crew, talent... They need to spend the money that is needed to promote this state properly and try to see the big picture (no pun intended) and realize there is a lot of money that this state could gain as a result. For God's sake, they haven't updated their webs site in ages! I can't see them spending the money it will take. They are offering the job at a salary of fifty thousand dollars a year, which is fine if you are a state house hack but it may not be enough to draw a qualified person to the position. I feel it will be another appointment of someone-who-knows-someone and we'll be back to the same stuff! They are still riding the "True Lies" Federal Hill" band wagon. NEED: Anything you would like to share with our readers about the state of the film business in our state and in New England? You no longer have to live in LA and New York to get scripts seen or to work in film, although it's admittedly still easier if you do. With the natural beauty of this area, IF costs can be kept down we should see more and more filmmakers working here. There's an exciting convergence for film right now: shorts are so much cheaper than features and many people now have the tools on computer to make them; the advertising trend is for 30-60 second narrative film commercials; and RI has the RIIFF, a festival welcoming to new filmmakers, whose shorts qualify as Oscar contenders. When I started making films here in the late 70s, getting through festivals to get to Oscar contention was financially prohibitive, after draining resources on the very expensive filmmaking (pre-video) process itself. Now, if that's a goal you aim for, the making of a short and the entry of it for festivals and ultimately Oscar contention is both easier and cheaper. Not being a right to work state is always going to hurt us in RI - we need to always struggle to make up for that financial fact. We need to push not just the landscape but the attitude and the savvy. We need to ask ourselves why Toronto is New England in so many films. Most of all we have to look at the impact that all of our calls on what shoots and what doesn't shoot in RI. When we turned away MTV from Aquidneck Island we didn't just turn away noisy college students... When we turned away Witches of Eastwick we didn't just turn away people who were going to curse in a church... what we did do is send a message to the production world in each case that said "Thanks, but no thanks." It would be great if we could pick and choose those productions we feel are "good for the state" that's not how it works. Let's save those kind of judgment calls for our permanent guests, not those who simply wish to spend there money and go home. We all seem to understand the excitement, glamour, and overall attraction of having film/TV production take place in our area. However, we should keep in mind that this is the best kind of economic development: generally outside dollars coming in, large amounts of money being spent in a short time, in a variety of area: from hotels, restaurants, transportation, construction, & police overtime, to job creation for our citizens who are in areas when they often have to struggle to find work: actors, costumers, make-up artists, set designers, tech-crew support, etc. We seem to quickly jump on other economic development areas, such as robotics, digital technology, and now bio-technology, and are willing to spend millions to invest in these areas. However, we resist spending even small amounts in this multi-billion industry. The fact is that film production is going to take place somewhere, and not just in LA and Florida.